Vans brings you a trendier way to carry your daily necessities with the Realm Blossom 22L Backpack. 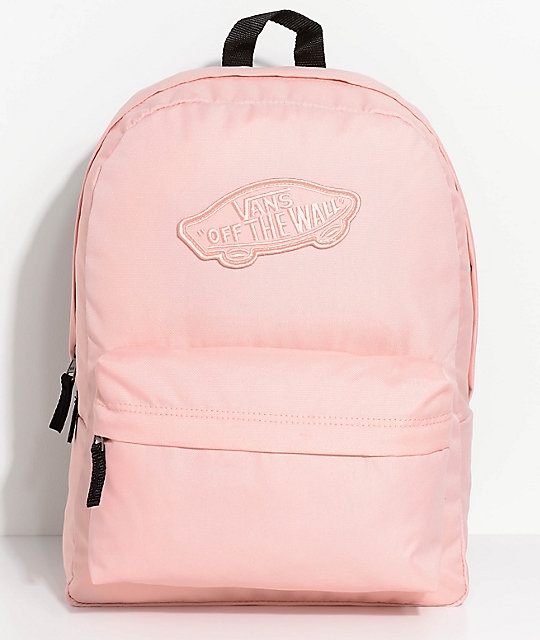 Featuring a durable light pink canvas exterior with a large light pink Vans skateboard patch logo on the front for a monochromatic look. The Realm Backpack offers 22-liters of storage including a fully-lined main compartment and a front pocket with an organizer panel for smaller items.